Comprehensive Corrective Action Program (CAP) management that engages the right people at the right time. 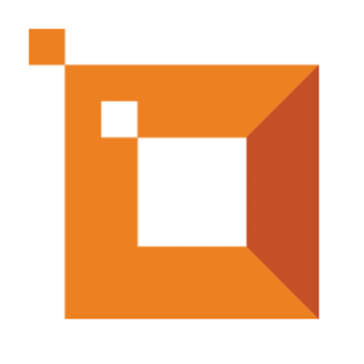 Cube is a cloud-based, fully configurable process management software. Cube is designed to manage, automate, and streamline your existing business processes. CWA SmartProcess covers business process management, quality management and workflow management in one tool. The BPM Software enables simple modelling, optimisation and publication of processes and documents. All of the necessary information about a process can be presented extremely easily. The ISO 9001:2015 standard is optimally supported. One particular advantage is that not only process documentation is possible in the business process management and quality management software. You can also automate processes as workflows. Datapolis Workbox is a no-code workflow solution for SharePoint, meeting Business Process Management (BPM) objectives across the board. Useful for anyone who wants rapid, accurate processing of documents and data stored in SharePoint. DECADIS Control Center is a flexible scheduler for process automation. With Dexon BPM, clients can define and implement in a single application, the flow of their processes, the business data used, the information systems, the people and the organizational structure for the optimization and automation of business processes. Interfacing is the global leader in business transformation, empowering organizations to efficiently govern business complexity through business process management software and quality management solutions. Interfacing’s solutions are intuitively designed for business users; facilitating multiple organizational programs within a single platform and covering the full spectrum of quality, governance, improvement and compliance initiatives. Interfacing’s leading Business Process Management Software the Digital Business Transformation Suite has been recognized in 2017 by Gartner® as a leader in Enterprise Business Process Analysis (BPA), Operational Intelligence (OI) & Business Operating System (BOS). Additionally, the Digital Business Transformation Suite was also selected by KMWorld as this year’s top trend-setting software, CIO Review’s Top 20 Business Process Management Software (BPM Software), CIO Applications’ Top 25 Governance, Risk & Compliance (GRC) tools and Frost & Sullivan’s 2017 Product Leadership Award. With success stories across all industries and corners of the globe, our solutions are highly adaptable to industry, driver and regulatory specific requirements with significant attention invested towards reducing cost & effort to preserve the natural flow of an organization. DocLogix an adaptable, configurable, and easy-to-scale document and business process management solution. Document Management helps District Attorneys across the USA to capture, store and disseminate case evidence, documents, audio, photography and video. Docusoft is a state of the art electronic documentation and records management system. It facilitates the storing and management of all sorts of information i.e. Scanned images, Ms Office files, PDF's, E-mails and attachments. Files stored through Docusoft are secure and easy to manipulate as Docusoft maintains a strong user access control and advanced file sorting algorithms. File searching and distribution can be managed with ease by Docusoft's workflow system. DWKit is a .NET open source BPM system made with simplicity and flexibility in mind. DWKit allows you to model, automate and execute mission-critical business processes, whatever industry you're operating in. Powerful and flexible data collection tool. EasyData designed to help merchandisers, auditors, marketers, engineers, municipal governments and many others to do their job better, easier and faster. Eightwire allows the world’s largest organisations to transform into into a Single Data Organisation whilst protecting technology teams from the exposure of owning data movement. ELMA CE is a FREE business process management platform that automates business and enhances company performance. With ELMA, business and IT collaborate using a simple visual environment where business requirements are translated into executable processes. The solution includes a visual designer for process modeling and a web-based application for process monitoring and execution. ELMA Designer is a modeling tool with an intuitive drag-and-drop interface that enables users to create process maps, modify and improve them, adapting business processes to the ever-changing market conditions. Processes are executed in the ELMA Web Application. It has a well-organized interface that provides quick access to different tools and options and requires minimal explanation on how to use it. Emakin is a BPM platform for using and developing easy-to-use business applications. With these applications you can create a virtual dashboard for digitizing your business processes making them easier to manage and optimize. The Modeler is a stand-alone cloud product for individuals working in the field of process management. The Engage Process Modeler offers all functions for mapping, enriching, improving processes, and for creating process handbooks. ProductsEnj is a fully integrated Business Process Management Suite - BPMS that provides a single unified platform that helps conceptualize, design, configure, deploy, and manage iterations of change for process automation solutions. Flexible and Compliant Business Process Management Software. Full traceability of your processes. Collaborate effectively 100% web-based. Flexibility to automate any business process. Fit for highly regulated, global industries. Cloud-based or on-premises deployment. erwin Business Process (BP) software models process flows, system interactions and organizational hierarchies to ensure elements are aligned and core operations optimized. Evenware is a cloud based enterprise management software. The system automates the business processes of organisations to enable employees to work from anywhere using 4G/Wifi based iPad/Android tablets, laptops and desktops. Everteam BPM is a process automation solution that delivers an enterprise-class platform to design, deploy, and manage the most complex business processes. Everteam iBPMS features an intuitive and powerful visual designer and a reliable high-performance process execution server. Fabasoft Cloud lets you digitise your internal and external business processes, the know-how of your employees as well as your documents in agile cooperation with your partners and customers. Fabasoft Cloud ensures that your know-how is used effectively within your company and on mobile devices while it remains protected. FileStore is a powerful workflow tool that allows you to improve efficiency of simple processes internal to the organisation or complex workflows that extend across your supplier network, external partners or even customers. FireStart is a low-code Business Process Management Suite in the Microsoft ecosystem, offering a unique combination of professional process management and powerful workflow automation in one consistent management interface. It was created in 2006 with one purpose - to deliver a user-friendly solution that makes daily business more efficient and structured. An easy integration with the existing IT ecosystem including CRM, ERP and HR software ensures complete process automation and seamless workflows, boosting efficiency and therefore reducing cycle times. Existing collaboration tools such as Sharepoint and Outlook are also integrated into FireStart, which reduces manual data entry tasks and improves data quality. The increased visibility of processes and process performance, expected times and cost metrics allows senior management to track the processes'​ impact on company performance at a glance, thus allowing for a continuous process improvement. FireStart is Microsoft partner of the year 2016 and is today helping numerous international companies such as Swarovski, Palfinger and Austrian Airlines improve their business activity sustainably. It has been successfully adopted across various verticals, including manufacturing, insurance, utilities, and healthcare. FirmCover® is the complete solution for seamlessly safekeeping Procedural Documentation in a secure environment and facilitating updates. FlexMIS is Flexible Management Information System that replaces Excel Automation with a web based system. FloSuite offers a faster, more flexible way to deliver targeted business solutions for virtually any work-type, which can be evolved in line with changing business needs. Par3 Software is focused on providing scalable and structured Business Process Management (BPM) solutions. Flowingly helps organizations to design, edit and run effective businesses processes and workflows with the aim of improving overall team productivity. Flowmingo helps your business manage its processes. FORMVERSE Enterprise Automation Platform combines "No-Code" Application Development with Intelligent Automation while leveraging customer's existing infrastructure. Combined with our Hybrid-IT Integration Platform (FORMVERSE Passport), data from FORMVERSE Applications can be bidirectionally integrated into and out of any other enterprise applications, Cloud or On-Premise: (Oracle, SAP, Workday, Salesforce, Dynamics, SharePoint, ServiceNow etc.). FuseMetrix helps businesses to manage customers better and run accounts with greater ease with their CRM and ERP offerings.